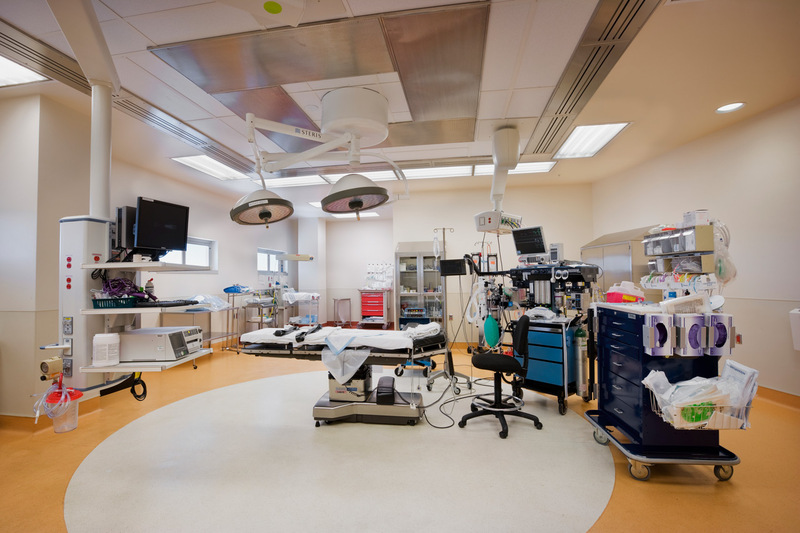 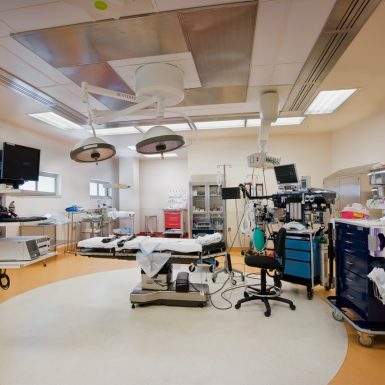 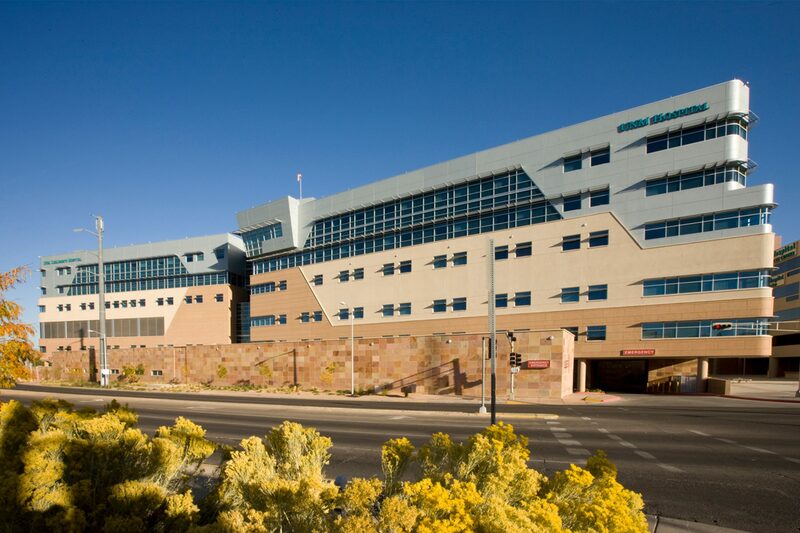 The UNM Hospital Barbara + Bill Richardson Pavilion (BBRP) addition to the University Hospital complex focused on a Women’s and Children’s Hospital; new Emergency Department; and new Critical Care/ICU Departments. 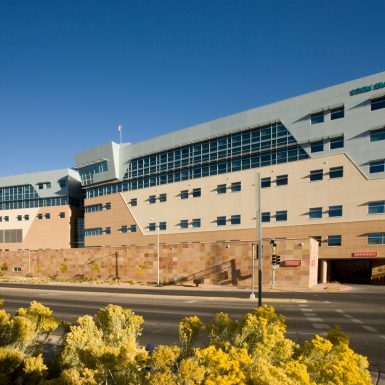 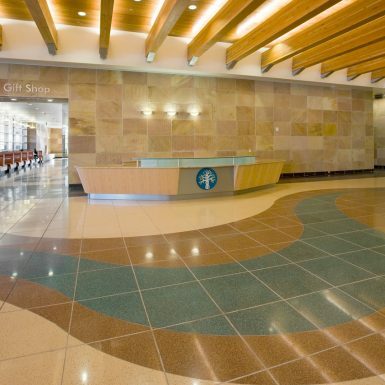 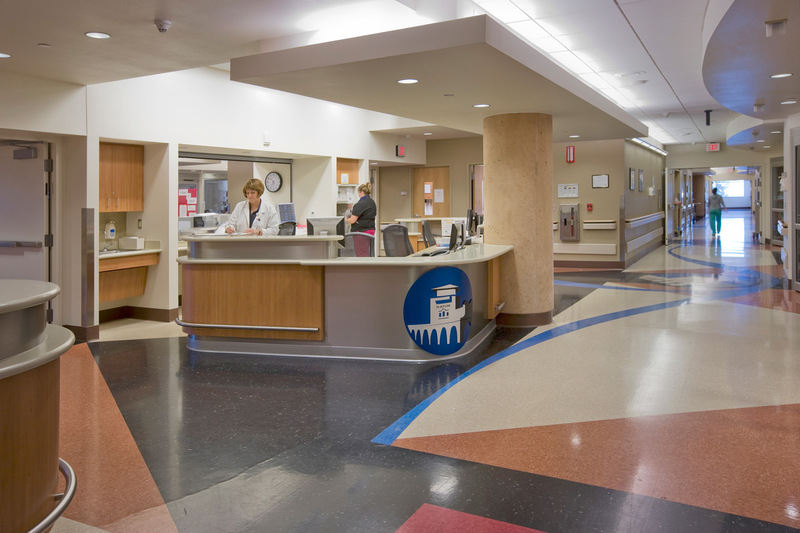 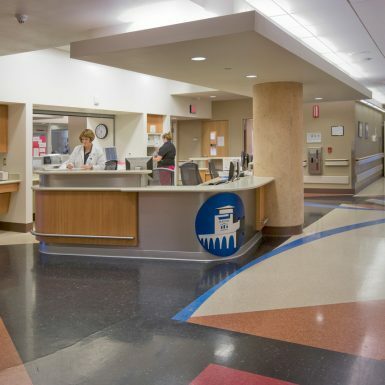 The six-story hospital blends the cultural themes of the New Mexico people with the functionality of a larger ER and additional patient accommodations. 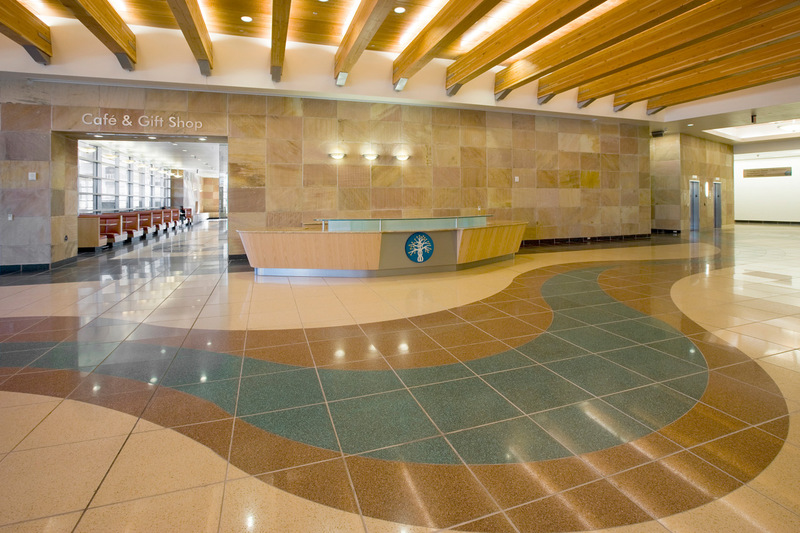 The craftsmanship and artistry of the building’s design is evident throughout the site. 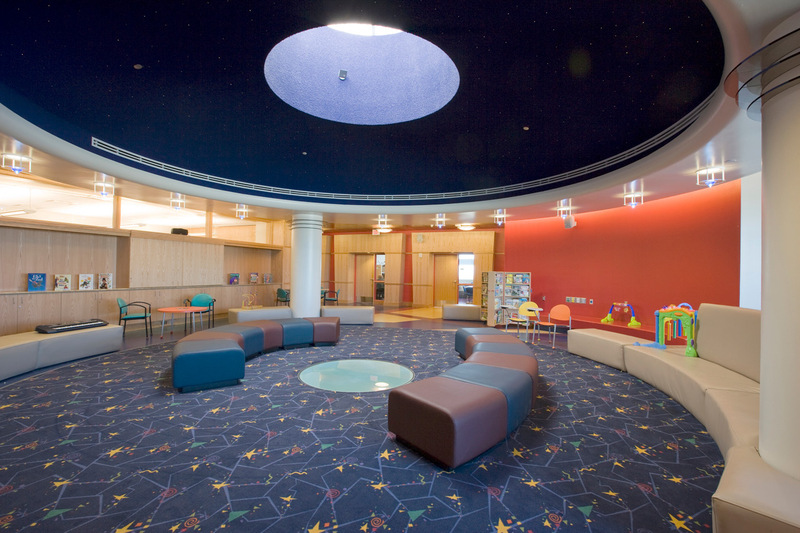 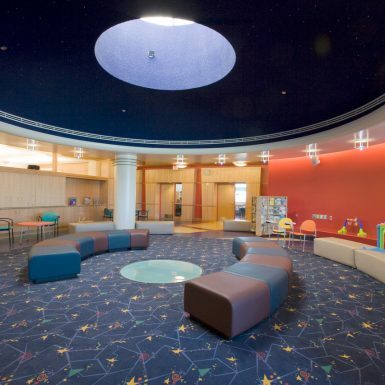 Exterior materials, such as a sandstone base, were used to reference the timeless high desert, and the use of metal panels at the children’s level were used to signify the future and progress. 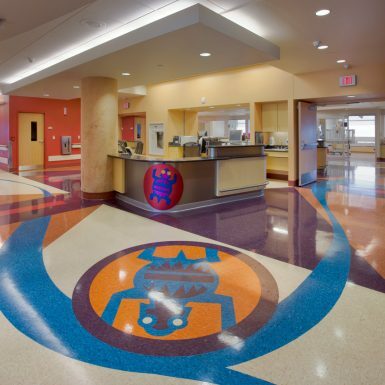 The interior references cultural themes with icons on each floor celebrating creation myths/cycle-of-life of people and place. 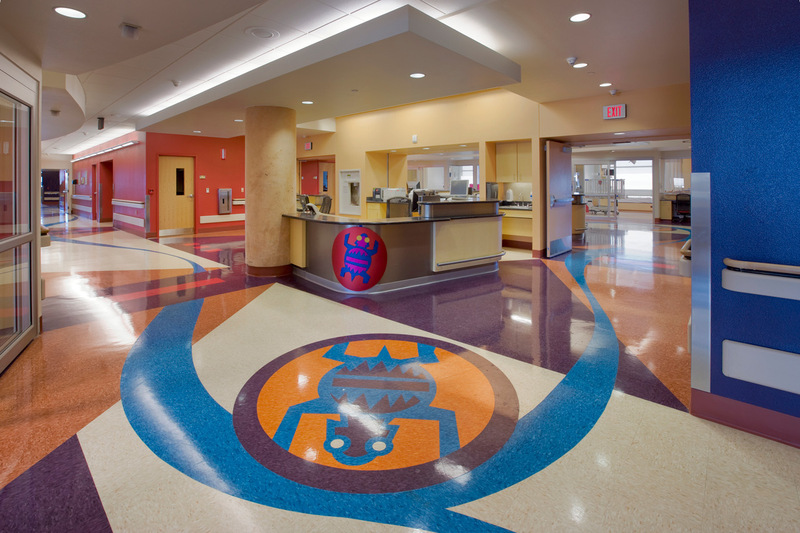 Studio SW and Perkins + Will created a design that brings the tranquility of the New Mexico landscape to the patients receiving care and the surrounding community.